1 Why choose a natural acne treatment? 2.6 Shea Butter or Cocoa Butter? 3 Can a natural acne treatment really cure acne? Why choose a natural acne treatment? Acne is a serious problem, and the temptation to throw chemicals and medicines at the problem is tempting, but such treatments don’t necessarily get you the best results, and there can be some serious side effects from prescription acne treatments. That’s why we’ve looked at the best natural acne treatment out there, treatments that you can implement today and start seeing results immediately. Some of these natural remedies for acne will work for some and not for others; some will work instantly, while some will take a while. When I was suffering from acne, I tried remedy after remedy, and tried not to get discouraged if something didn’t work. Pick one, try it, and if you’re not seeing the results you were hoping for – just try another one. The key though is that all of these solutions have been proven to help someone, so I’m hopeful that they will be the solution to your acne! Share your results on these natural acne remedies in the comments below, so we can all work together to find the best natural solution out there. While these natural acne cures are certainly highly effective and they really helped me fight my outbreaks, it’s always a good idea to find ways to combine the below solutions with a great over the counter acne face wash (reviewed on this website as well). Especially one with an active ingredient which will help you get the best results in the fastest possible way. It’s by no means necessary, but it’s always a good idea to look at all your options. I remember spending a small fortune on the best creams and pills when I had acne. I even bought every new solution, which claimed to cure even the worst of breakouts. Unfortunately, none of these ever worked for me. The things are, there’s plenty of cheap, and easy natural remedies for acne that do work. So let’s look at some of the best ones you can start trying straight away. 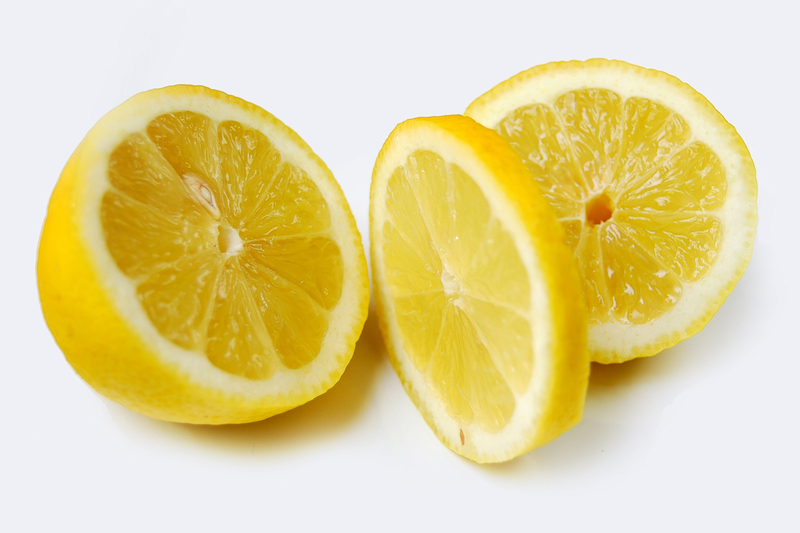 Lemons may well be one of the easiest and most effective natural acne remedies on the planet. One of the reasons is that it contains Glycolic Acid, which is an exfoliator used in many expensive skin creams. It helps exfoliate the skin by removing the outer layer of dead skin cells and bringing in a new layer. In addition to the exfoliating properties, lemons are also an astringent – this means that lemons will also cleanse the pores, and remove some of the excess oil in your skin. This will lead to your skin drying out – which in this case is a good thing, and reducing any redness due to a breakout. All you need to do is apply some lemon juice to your face, especially where the outbreak is, wait for around 20 minutes and then wash off with water. You can use your hands to apply the lemon juice or some cotton balls. Make sure you thoroughly wash your hands before touching your face however. The alternative way to do this is to cut a lemon in half and rub this over your face. You can do this every day, or if the effects are too drying to your skin, use this method every other day. Adding salt to lemon juice can work even better. The added salt will help dry out the affected skin even more. It’s the same method as above; just add half a tablespoon of salt to the juice of half a lemon. This is one of the homemade acne treatments that some people swear by – so definitely one to try out yourself. I couldn’t quite believe it when I heard that you can use baking soda to treat acne, but it turns out to be true. Sodium bicarbonate (just a fancier way of saying baking soda) is regularly used as an antacid to treat heartburn, but it is not as widely knows as a natural acne treatment. The reason baking soda works so well is due to its mild antiseptic and anti-inflammatory properties fighting the acne itself, while the exfoliating properties of sodium bicarbonate help remove the dead cells from your skin. This truly is a miracle cure for your skin. You can either create a scrub or a mask out of baking soda – both work great. You could try both and see which works best for you – just not on the same day. To create a sodium bicarbonate facial mask, simply mix the baking soda with an equal amount of water until it forms a thick paste, which needs to be applied to your face for around three minutes. For best results, slowly massage your face while applying the baking soda facemask. Leave your homemade acne mask on for around 20 minutes, and afterwards clean your face with warm water to get rid of all the residue baking soda paste. 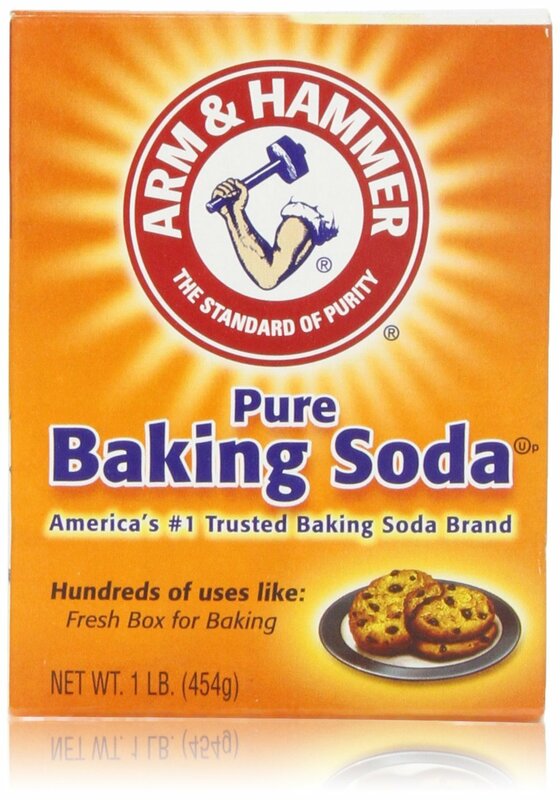 If you’re preparing the baking soda scrub, follow the exact same process as above, but when mixing, add less water. This thicker paste should be massaged onto your face for 5 minutes. Rinse of the scrub thoroughly with warm water. You can repeat this process around once a week. Alternate between a scrub and a face mask as both are powerful home remedies for pimples. Aloe vera is famed for its beneficial properties on skin. I used it the first time to treat sunburn and it worked like a treat. I personally used a fresh aloe vera plant which I was given at the time, but there’s plenty of aloe gels out there you can use if you don’t have aloe plant lying around (just try finding a gel which is pure and doesn’t have a bunch of extra ingredients added). Aloe is used for sunburns due to its soothing effect – something any acne suffering person will appreciate. While soothing only gives you temporary relief, the plant’s anti-inflammatory and antibacterial properties provide a more permanent solution. Aloe vera is one of my favorite home remedies for pimples and once you try it, I’m sure you’ll agree. Just add the aloe on the affected areas – nothing more to it. Witch hazel, just like lemons as we saw earlier, is a natural astringent, but it also has moderate anti-bacterial effects. It’s well known for it’s face-cleansing benefits, but whether it’s the best natural acne treatment is highly debatable. 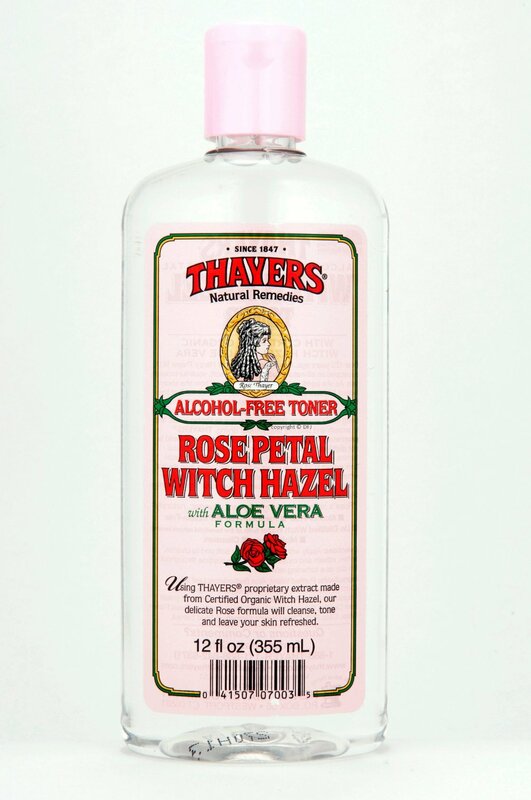 Some people swear by witch hazel, others say it didn’t help them at all. I’ve never used it personally so I’ve researched this thoroughly and can conclude it is an effective treatment, but not the miracle cure some people claim it is. Everyone’s skin is different, so results will always vary – that’s why I’ve never really believed in one solution fits all. It’s necessary to experiment a little to find out what works best for your skin. Witch hazel can help improve the look of your skin, with some people reporting a glow after using it. Many people are also reporting to have clearer skin after using witch hazel (partly due to the anti inflammation effects of witch hazel), but there are still plenty of people who apart from slightly clearer skin, are still suffering from severe acne. Maybe a real witch would be more useful for these acne sufferers? The main benefit, as with all the acne treatments on this page, is that witch hazel is natural, easy to obtain, and very cheap. So there’s nothing really stopping you from trying it. I look forward to hearing whether witch hazel works for you or not. Shea butter and cocoa butter are also frequently used home remedies for acne, but do they work? Cocoa butter contains cocoa mass polyphenol, which is effective in reducing rashes, however, it’s been reported that cocoa butter will clog your pores, so that’s a no go in terms of acne remedies. Shea butter on the other hand is a better contender as it is non-comedogenic – in other words it will not clog pores. Shea butter also has antimicrobial properties, which are highly beneficial. Many face creams have vitamins A and E added to them, which shea butter has plenty of – these will help make your skin stronger and repair damage. If you’re going to try shea butter, try to find a pure, unrefined cocoa butter (there are plenty of impure butters full of additives which might make things worse). Worst comes to the worst, if shea butter does not cure acne, it doubles up as a very good moisturizer – which is great for your skin anyway. So your efforts won’t go to waste. Apply the shea butter as a thin coat on affected areas after thoroughly washing your face (preferably cleansing it) and leaving it on for a few hours. Alternatively, if you can find a shea butter soap with no additives, you can also use this to cleanse your face. When your mother was telling you to brush your teeth she was right – but did you know that putting a small amount of toothpaste on blemishes and leaving it on overnight can help? Home remedies for pimples don’t get easier than this. The toothpaste will dry out the affected skin and you should see results within several days. I unfortunately never saw amazing results using toothpaste, but I know many people have, so it’s certainly worth a try seeing that it will only take you a few seconds to test this acne cure out. The application is simple – just apply a little honey on the breakout areas and leave it on for an hour. Clean your face with warm water afterwards. It’s useful to splash some cold water on the skin after washing your face with warm water as this will help close your pores (warm water helps open pores). As with many of the other cures and antidotes outlined here, it’s important to use pure and high quality honey for acne treatment. 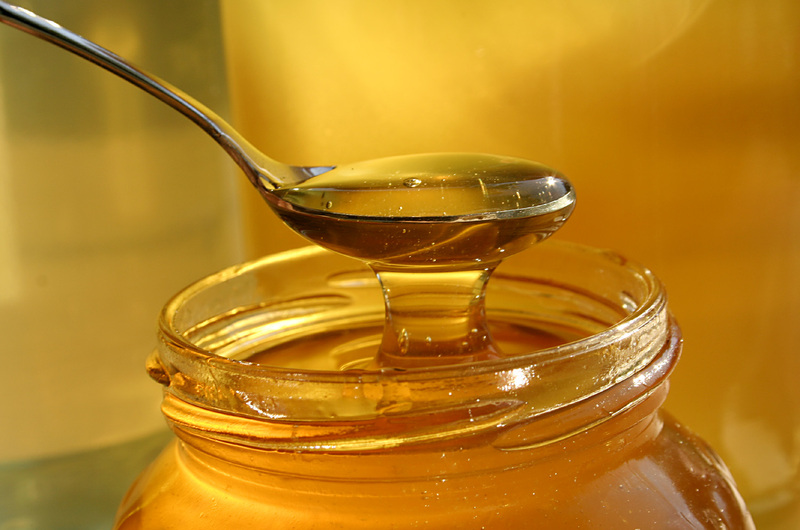 There’s plenty of cheap artificial honey which just won’t have the same antibacterial properties. The best honey to use for this is manuka honey, as this has the highest concentration of antibacterial and anti-inflammatory properties out of all the different types of honeys. Dermatologists are slightly downbeat on using honey as a natural acne treatment, however there’s plenty of people who have reported some astonishing results. These people should be used as an inspiration to try the honey cure yourself. Bear in mind that the majority of people who are reporting great results, are using manuka honey – which is a higher quality honey and can be a little more costly. It all depends on your skin whether honey will help, but in any case, the antibacterial and anti-inflammatory properties should help to ease swelling and redness even if it fails to remove all spots. I almost didn’t add aspirin to this list, as it’s not the most natural cure out there, but it is in most people’s homes and it’s simple to try. It has been reported that aspirins can help with zits. You will need to dissolve 2 aspirins in warm water, and use cotton swabs to apply the solution to any inflamed skin. It helps for a headache, so this may well be a good pimple treatment at home. When I was researching apple cider vinegar it was portrayed as the cure all – but I was skeptical so I did some real digging to find out whether apple cider vinegar is really a good way to get rid of acne fast. Apple cider vinegar can help save your face due to its hatred for bacteria (i.e. anti-bacterial properties). In addition to this it helps balance the pH levels of your skin making it tough for those bacteria to resurface. If that’s not enough, apple cider vinegar is also an astringent, which helps dry out skin and soak up excess oil. All of this convinced me to make it worthy to be on this list of home remedies for acne. If you want to try this method, just mix together some apple cider vinegar with water (a tablespoon of each should be enough) and apply to spots with a cotton swab or cotton ball. Leave this on you for 15 minutes before washing your face. You may want to add some moisturizer at the end, as this can dry your skin out quite a bit. You could do this up to three times a day to get the best results. We all know that drinking tea is good for us due to the antioxidants. But I’m not talking about drinking it, I’m talking about using it to fight those annoying spots that are bothering you. There have been some interesting studies published in the Journal of Investigative Dermatology, which suggest that green tea can be an effective natural remedy for acne when applied externally. 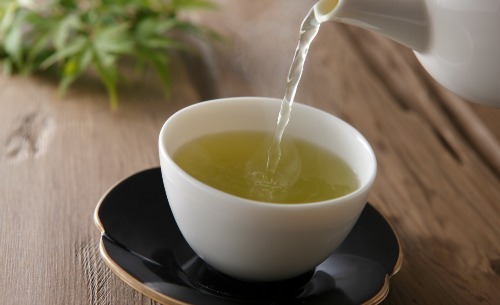 There is some suggestion that drinking green tea could have positive effects as well. In order to try this remedy, make a cup of green tea (let the leaves or tea bag soak for at least 5 minutes in boiled water, and wait until the water is comfortably warm (don’t apply to your face when it’s still hot!). Then either uses a cotton pad to soak up some green tea and apply to affected areas or you could also use the teabag itself to apply to the problem areas. Some people have also reported some good results with making ice cubes out of green tea, and rubbing these over the blemished areas. This will offer additional relief if swollen. If you’re feeling experimental you could try different teas – but green tea has a high amount of antioxidants so is likely to work best. Basil and rosemary tea has been rumored to work as well due to the antiseptic qualities of this herb. So has mint tea, since mint is a natural anti-inflammatory so this should reduce the swelling and redness. In any case, if you don’t already, try drinking more herbal teas, such as green tea. It won’t solve your problem overnight, but it can help you in the longer term – the additional hydration tea provides is also important for your body to be at it’s best to fight those nasty zits. When I was suffering from spots, I used steam frequently to let the heat open up my pores and flush out some of the impurities. This method is easy, free and feels good. You can either hang over a hot bowl of water with a towel on your head or find a steam room somewhere. It never got rid of my pimples completely, but it did help slightly. Some people report better results, but despite that, I actually enjoyed the relaxation associated with the warm steam. This is one of those home remedies for pimples that is actually more fun at your local spa – sitting in a steam room beats sitting at your kitchen table with a towel on your head! 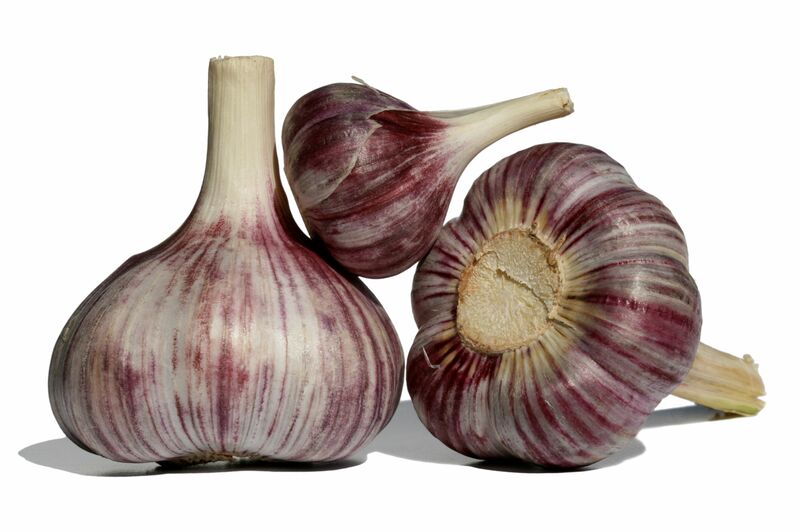 Vampires might be afraid of garlic, but so is acne. Garlic is incredibly healthy, but it’s also a great natural acne remedy. Garlic is a natural antibiotic, due to its antibacterial qualities. It’s a good idea to start eating more garlic but you can also apply it topically to affected areas on your skin. If you apply it topically, crush a clove of garlic, dilute it in some water (let it soak for 15 minutes) and use a cotton bud to apply to pimples. You might want to skip this homemade acne treatment if you’re panning a night out, as garlic does have a strong smell. Can a natural acne treatment really cure acne? Dermatologists and anyone with an interesting in selling you expensive creams and pills are not sure about natural solutions. In many cases they might be right, and I’m certainly not going to argue with dermatologists if they are getting good results with patients. However, from personal experience, many of the creams just don’t work, and are frequently based on the natural ingredients in this article anyway. There are many people who have benefited from these natural remedies for acne and you just can’t argue with results. So to answer this frequently questions, yes all natural acne treatment can and does work. There are plenty of other natural, herbal and homeopathic remedies for acne that I haven’t covered here – not because they don’t work but because there is either a serious lack of evidence or they actually do not work at all. If you have had great results with any natural remedies for acne not mentioned here, let me know in the comments. It takes some trial and error to find the best solution for your skin type, and some things won’t work at all, but keep in mind that all the above methods have helped plenty of people. Try them all if that’s what it takes. All these alternative solutions are easy, cheap and as far as I can see don’t have any side effects. I also tried acne medication, which I will cover another time, and compared to natural acne remedies, medication tends to have a whole lot more undesirable side effects. Bear in mind, that the more severe your inflammation is, the more thorough the solution is going to have to be. So figure out the type of outbreak your suffering from, and then figure out the solution based on that knowledge. If you’re worried at any time about your situation, you should always contact a medical professional. In many cases, some of these natural cures for acne might not be a complete solution, but they can reduce your outbreaks sufficiently to put a smile on your face.